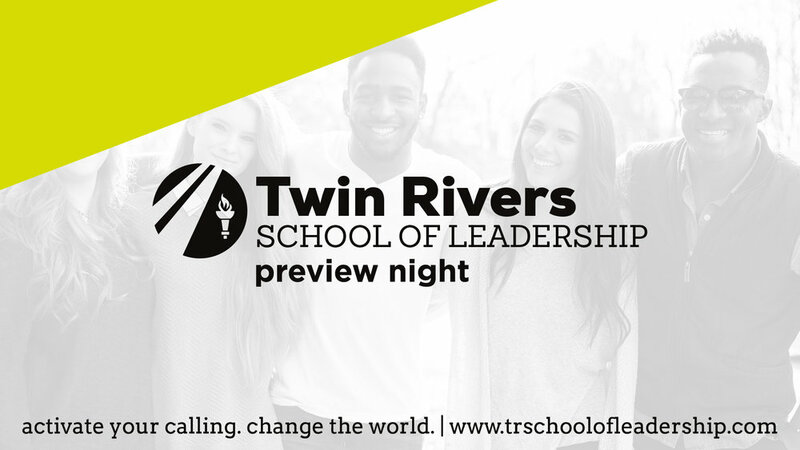 If you are interested in finding out more about the Twin Rivers School of Leadership and how God can use you to change the world, then come to Preview Night! You'll get to meet with all the leaders of the school, as well as get all of your questions answered during our Q & A. If you want to invest in your future, then we have a spot for you in our Twin Rivers School of Leadership and look forward to seeing you at Preview Night!